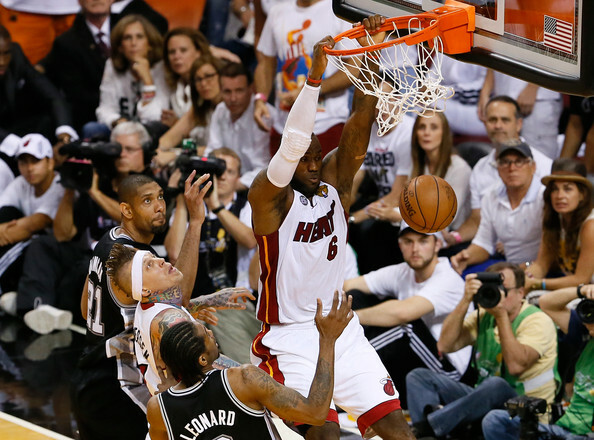 With their playoff lives on the line, the Miami Heat came out and delivered a performance for the ages. They were knocking down shots from close to the basket, somewhat further out from the basket, behind the three-point line, and also some free throws. When a team is hitting this wide of a variety of basketball shots, they can be tough to beat. Of course, no game recap is complete without mentioning the excitement it generated online. The internet was buzzing with talk of blocked shots, dunks (this happened actually because I checked Twitter while at Walmart at one point) and jokes about how Chris Bosh looks like a dinosaur/ostrich/Ru Paul. Witty and insightful as always, internet. After totally watching (shut up yes I did I clearly did I already talked about the bounce passes what more proof do you need) last night’s game, I think it is safe to say we are in for a doozy of a Game 7. 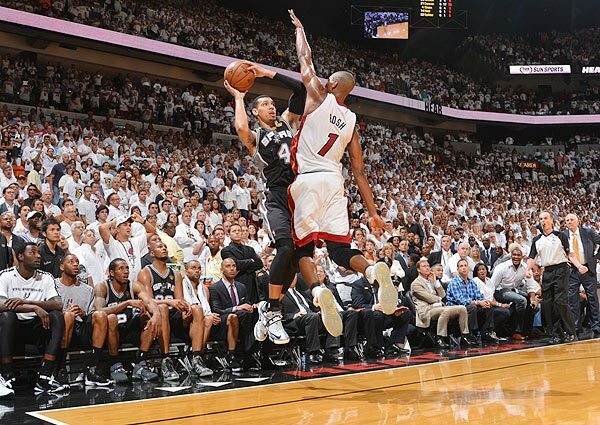 If both teams play at exactly the levels they were operating at in this thriller of a Game 6, I predict the Heat will win by a score of [checks yesterday’s box score] 103-100. Any variation in performance from either team, however, and there is no telling how tomorrow night will end. I guess that’s why they call it basketball. I guess that's why they call it basketball! That one play with the pass was amazing! Right? I've been watching that gif all morning.